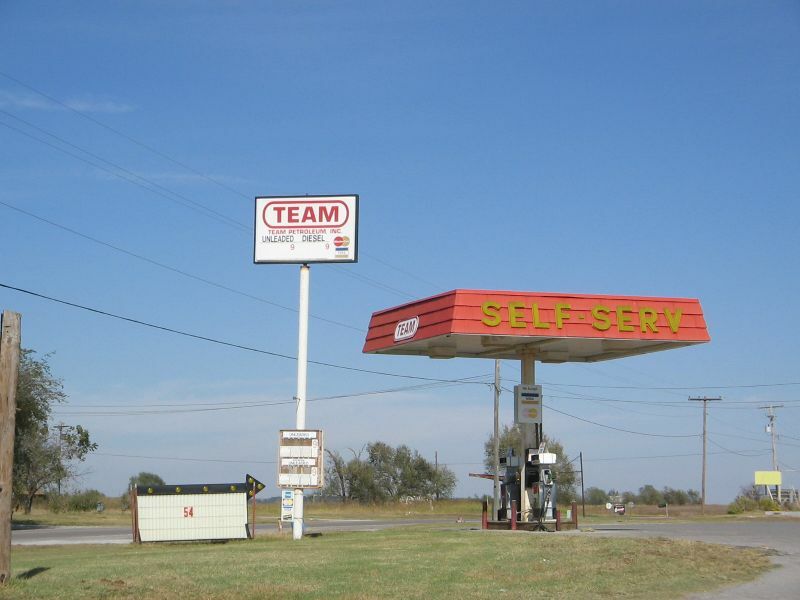 Team sign and pump island in Carnegie, Oklahoma. 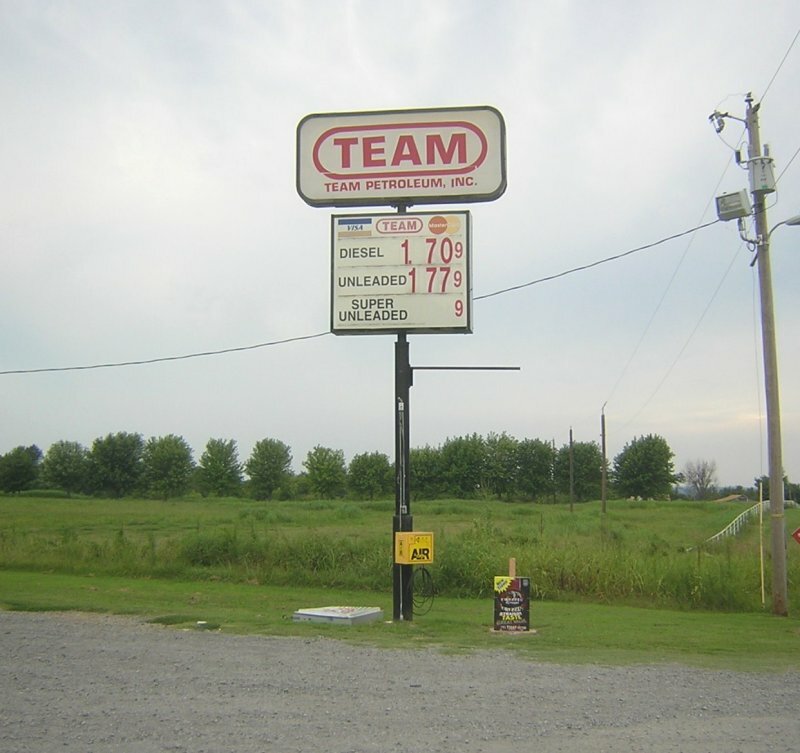 Taken Oct. 30, 2007 by David Aldred. 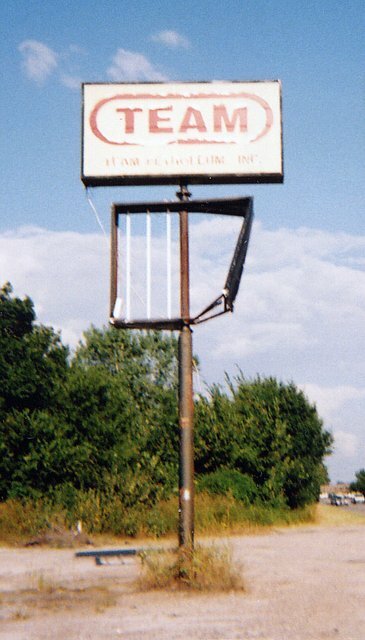 An old Team sign (no station) in Oklahoma City, Sept. 2004. 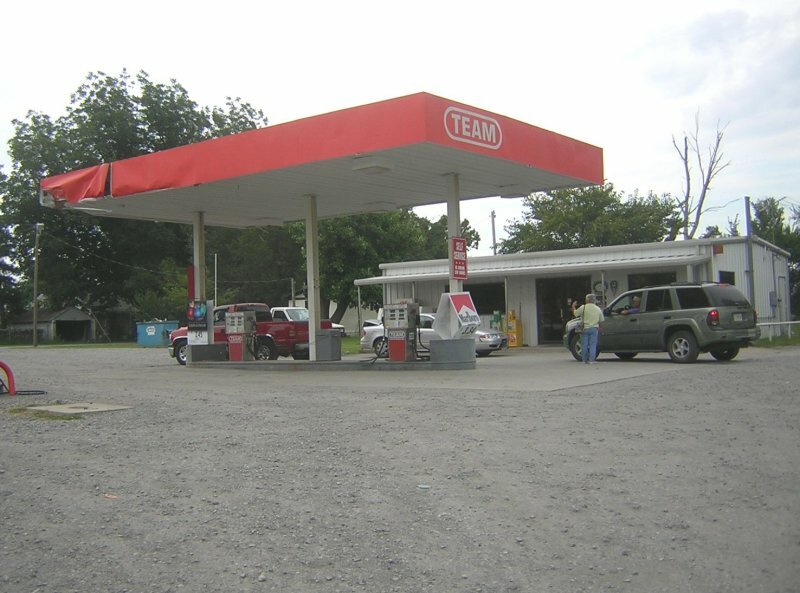 Two shots of a Team gas station along US 270 at Alderson, OK (just east of McAlester).